Bellwether Craftsmen advances the building industry through intelligent design and innovation. Encouraging a culture of positive cooperation dedicated to environmental stewardship, social responsibility, true sustainability within the built environment. We endeavor to provide unique timber frames with revered spirit. Working closely with clients our custom buildings provide inspiring living spaces that deliver exceptional energy performance. We specialize in achieving the highest cost to value ratio believing everyone deserves the benefit of healthy sustainable shelter. Current design and construction conventions place primary emphasis on performance-based energy efficiency metrics. Energy efficiency is an important consideration, however, end-user energy conservation alone is not enough. Conventional approaches enclose timber frame homes with SIP (structurally insulated panels). While this option offers benefits such as ease-of-material order and speed of install, they impose a significant penalty of environmental impact throughout the production chain to end-of-service life. Essentially, the penalty never ends, as foams are highly toxic and extremely persistent in our environment. In addition to that, SIP are costly and offer lower durability as compared to a vapor-open enclosure assembly which translates to shorter service life and higher maintenance costs. Bellwether offers innovations and alternatives for our enclosures at comparable prices to SIP with added benefits of low environmental impact, improved energy performance, increased durability, and healthy indoor air quality. We encourage the use of sustainable fiber insulations that achieve the highest performance standards as well as carbon storage. 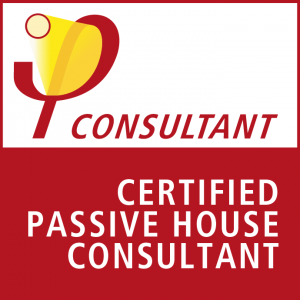 A critical component of the any high performance building, we are proficient with the integration and detailing of vapor permeable air-tight systems, achieving passive house standards or better on all of our projects. We favor Pro Clima products and collaborate closely with 475 High Performance Building Supply. Brian a skilled designer, builder, and woodworker with over 20 years’ experience in building and design. Before moving to Vermont, Brian operated Lakeshore Building Company in the Central New York lakes region, with focuses on historical restorations and timber framing. Founding BWC in 2012, the company continues to evolve, offering a full range of design and construction services, building science consultation, and deep energy retrofits. 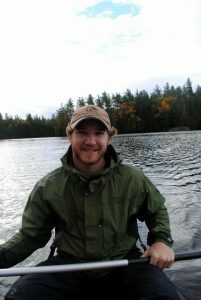 Brian is guided by deep dedication to environmental stewardship. He endeavors to have a positive on conventional building practices toward goals of true sustainability, energy efficiency, and net-positive atmospheric carbon reduction, by contributing to the forward progression and use of plant-based building systems and local resources as a viable and affordable method of construction. 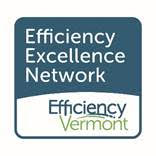 Brian is a certified PHI Passive House Consultant, Member of Efficiency Vermont Energy Excellence Network, and a supporting member of the Timber Framers Guild. Paul is an experienced designer, builder, and craftsman who simply enjoys the process of making things - from large structures to little spoons. A lifelong interest in buildings led him to study architecture at the Savannah College of Art and Design, where he attained a Masters in Architecture in 2007. Not satisfied only drawing buildings, Paul has set down of path of integrating design, construction, community, and natural process as much as possible. 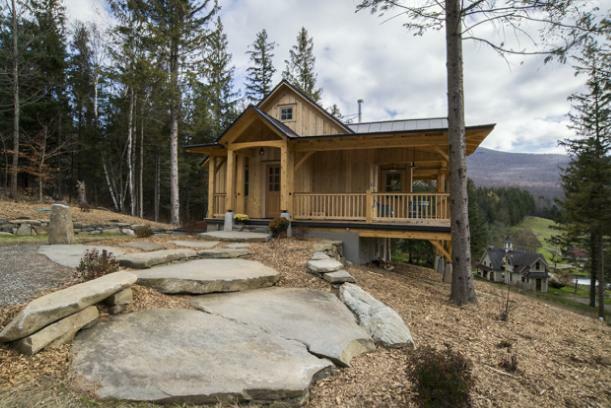 Prior to joining Bellwether, Paul spent five years designing and building net-zero energy homes, and has worked with a variety of skilled builders throughout central and northern Vermont. He has also worked with numerous community gardens and youth organizations, seeing the construction process as not only a way to create space and shelter, but also one of the best ways to build community and empower people to come together to create their world. Derek is a well rounded craftsman with a variety of experience. 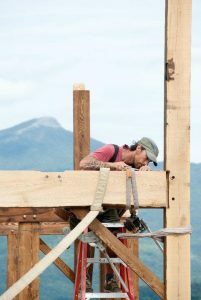 After graduating with a degree in engineering Derek first came to Vermont for a timber frame job. He spent two years working with Brian before moving west. In Colorado he continued in the building trades. He quickly picked up the skills of general & finish carpentry and expanded his knowledge of woodworking, tile installation, and steel fabrication. After traveling the country Derek and his family moved back to Vermont and he has joined the Bellwether Craftsmen team. 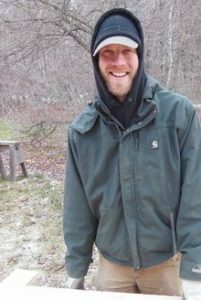 Mark is a native Vermonter and well-seasoned builder with over 30 years of experience. Mark started by splitting the seasons between carpentry and ski patrol back in the late 70s. After 10 years of patrol he transitioned to construction full-time. Along with general carpentry, Mark has logged 10 plus years of Timber Framing experience. From felling trees to building his own timber frame and stick-frame homes to interior finish work, Mark does it all making him an integral part of the Bellwether team. Like most of us, Mark enjoys spending time outdoors, whether on snowshoes or his tractor. Susan is the sage operator and keeper of the books. This essential role is important to any business, and BWC is fortunate to receive the benefit of her valuable skill set. Having early experience with a family run business, Susan is well versed in small business models and culture, and has been involved in several successful market farm operations and community garden projects as well as a board member of the Richmond Farmers Market in Richmond, VT. Susan supports BWC behind the scenes making sure the business finances and schedules are organized and running smoothly. 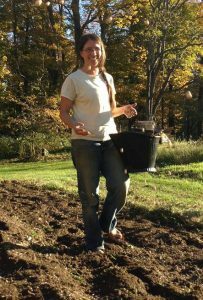 Educated in Environmental Horticulture/Natural Sciences, she brings her passion for sustainable environmental impact to compliment Bellwether’s mission statement.